Since 1982, the hardwood experts at Hardwood Floor Masters have prided ourselves on providing prompt, professional service for both residential and commercial business customers. In that time we’ve handled every type of hardwood floor challenge you can imagine, from simple hardwood floor installations; to more complex repairs, floor sanding, refinishing and restoration of damaged hardwood floors. 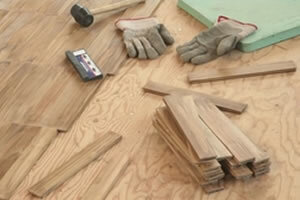 We are experts when it comes to installing hardwood flooring. 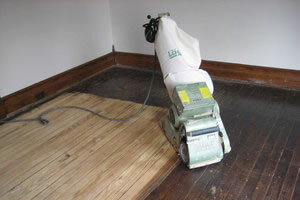 We can restore the beauty in that old floor to bring back it’s original lustre. 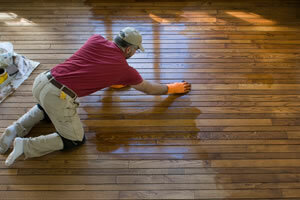 We can make your old, beaten and tired floor look new! Since the very start of our flooring business, it has always been my goal to be the best hardwood flooring company. We are driven by the needs of our customers, and are committed to provide a high level of friendly and respectful customer service and will go above and beyond to make sure our customers are completely satisfied with work that is performed by us. The best part of the job is meeting with new people and providing them with flooring solutions weather it be tying in an existing wood floor with a new floor,repairing water damaged floors,refinishing,staining,or just a simple new coat of poly to spruce them old floors up instead of sanding we are confident you will be amazed at our high level of work performed. We really like to to see the home owners reactions when we transform older worn out or damaged wood floors into beautiful new floors again. If you need a new hardwood floor, we will bring samples right to your home, so you can easily find the type of hardwood floor that will fit your home and lifestyle. If you have an existing hardwood floor that needs to be refinished or repaired, we will make it look like new, guaranteed. Call 630-307-6283 to schedule a free in home consultation or complete our online form and one of our experts will contact you shortly.